Saraha (Skt. ; Tib. མདའ་བསྣུན་, danün, Wyl. 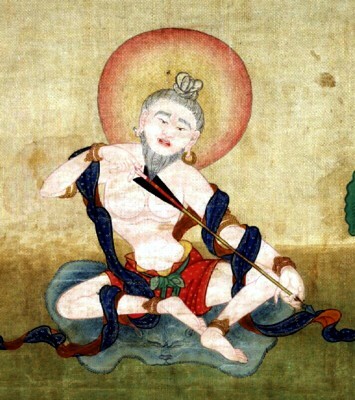 mda' bsnun) was one of the greatest Indian mahasiddhas and is known for his celebrated songs of realization (Skt. dohā). He was also one of Nagarjuna's teachers. In iconography he is depicted holding an arrow. This page was last edited on 1 April 2018, at 05:57.